VOTED BEST RESIDENTIAL ROOFING SERVICES | Beneficial Roofing - Beneficial Roofing | VOTED BEST Roofing Company, Call Us Today & See Why! Craftsmanship, topped with experience, are essential ingredients of a quality residential roofing service. An expert residential roofing services contractor will ensure durability—with an impressive design. Since cost is a deciding factor for most American homeowners, a roofing services contractor can provide homeowners with the best solutions that fit their budget. The contractor must have the proper license to operate in your area. All US states have their license requirements. The contractor must have appropriate insurance coverage, including workers compensation and general liability. Talk to the contractor’s previous clients to check their reliability. Browse through the service provider’s contractual documents. Also consider the company philosophy and work ethics. Beneficial Roofing takes pride in our vast experience, core values and expertise, and we will be pleased to answer all of your questions! Licensed contractors are reliable. Since a lot of money is invested in roofing work, hiring an unlicensed contractor would mean a serious risk of losing money. Licensed roofing contractors are professionals who provide customer-oriented services. In most states, contractors with proper insurance earn a license. A job not well done qualifies for a reimbursement. Licensed roofers normally have a good track record. Most of them provide a guarantee on their work and extend repairs for the number of years -guaranteed. 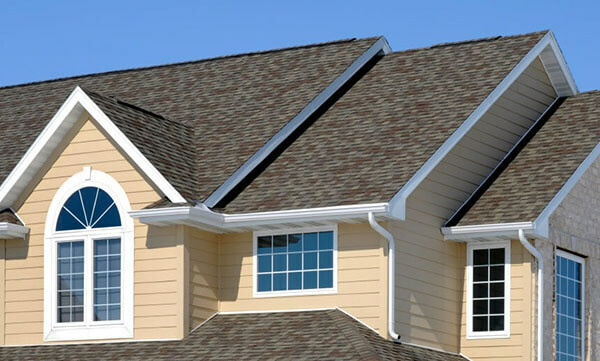 Beneficial Roofing does not only have licensed contractors. We are proud that we have established good working relationships with our clients as they are happy collaborating with our knowledgeable, courteous and friendly roofing contractors. We provide a wide array of popular roofing styles that include Gable, hip, mansard, bonnet and shed. The roofing materials also come in two varieties: pitched and flat. While pitched roofing materials include slate, metal, tile, shingles and shakes, flat roofing materials comprise tar, rolled roofing, rubber and gravel. If you have any questions about these materials, we are here to give you the information that you need! For most American homeowners, initial costs are more important than long-term costs. Statistics reveal that an average American moves every seven years. Hence, they are unwilling to make big investments on roofing. They are apprehensive about not being able to recover costs, in case they vacate their homes early. Hence, the best way forward is to hire an experienced roofing contractor and discuss one’s needs with him. Talk to us at Beneficial Roofing. Explain your parameters regarding costs and ask for suggestions—and you will be guaranteed that we will give you useful suggestions and sound advice, which comes with marvelous customer service! You can obtain the best, full-service residential roofing within your budget, by hiring services of the top residential roofing service provider—that’s Beneficial Roofing. Make sure not to hire those contractors who only accept cash and demand an advance of 50% amount, or pressure you to sign an agreement. We are proud of our licensed, insured roofing contractors who provide incomparable commercial and residential roofing services and solutions with competitive pricing. With Beneficial Roofing – our customers are our king!